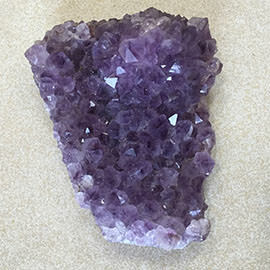 Lustrous amethyst cluster with dark purple attractive color. Specimen weight 70 grams. Approximate size 7 cm x 4 cm with little variations. Amethyst with dark purple color to sooth your eyes. 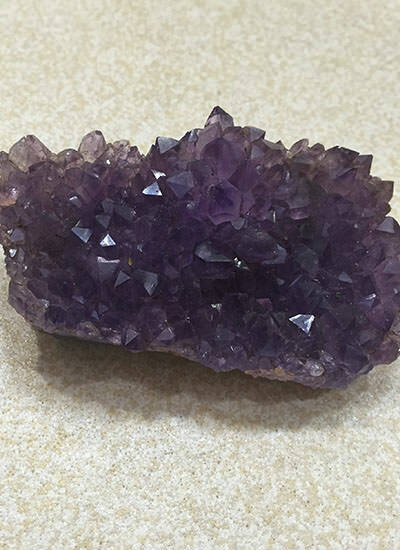 Amethyst is good for activating the crown chakra and helps in meditation in connecting the crown to the higher self.One can keep it in his pocket or also the working desk. 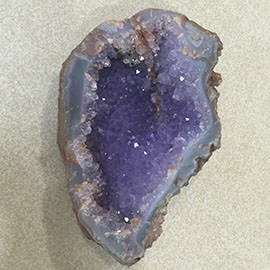 Very attractive piece of Amethyst cluster. Amethyst activates the crown chakra. Meditating with amethyst gives better result and one lands into bliss and spirituality.